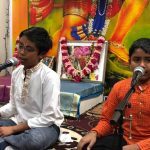 By the immense grace of Sri Swamiji, Sri Poornimaji presented a beautiful garland in the form of a beautiful discourse series, studded with gems from Ramayana. 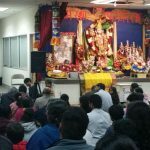 The four day discourse series on Ramayana took place from December 21st-24th 2017 at Sankata Mochana Hanuman Temple, Newark CA in the evenings from 7pm to 8:30pm. 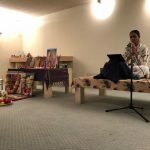 On Thursday, December 21st the satsang commenced with Sri Poornimaji’s beautiful exposition on the glory of Satsang, Guru Mahima and Nama Mahima. 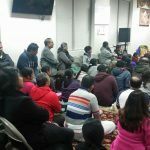 After setting the stage about Guru and Nama Mahima, she then talked on Sabari Moksham from Ramayana and elaborated how Guru’s grace and her incessant chanting of Rama Nama brought Lord Rama in front of her and how she attained Moksha witnessed by Lord Rama. 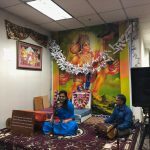 On Friday, December 22nd 2017, she talked about the greatness of Hanumanji and how he was a liaison between Jeevathma (Sita Mata) and Paramathma (Lord Rama). 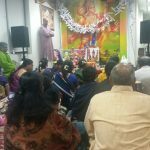 She beautifully talked about the divine meeting of Lord Rama with Hanumanji and Sugreeva. 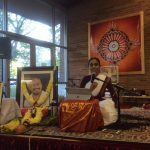 On Saturday, December 23rd 2017, Sri Poornimaji’s lecture was on Kishkinda Kanda and talked about the philosophical aspects of Ramayana. 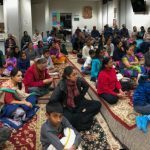 On Sunday, December 24th 2017, the devotees were blessed to hear Sundarakandam and Rama Pattabhishekam from Sri Poornimaji. 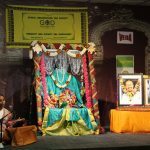 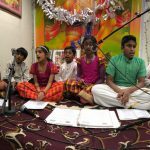 She explained how Sundarakandam is the crux of Ramayana and concluded with the divine message that the essence of Ramayana is indeed the divine name ‘Rama’ and exhorted everyone to chant the divine names everyday. 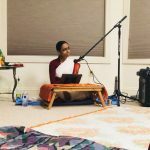 Everyone listened to the lecture on all days with awe and reverence. 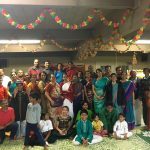 Seetha Kalyanam was performed to the divine couple on Sunday, December 24th 2017 prior to the lecture in Sampradaya style. 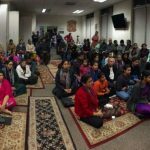 Close to 80 devotees attended the lecture everyday. 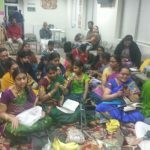 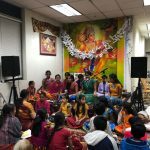 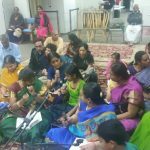 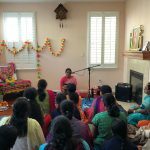 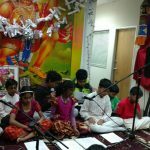 Prior to the lecture, Madhuragitam performance was held and many took part in the recital from Bay Area’s eminent music schools.